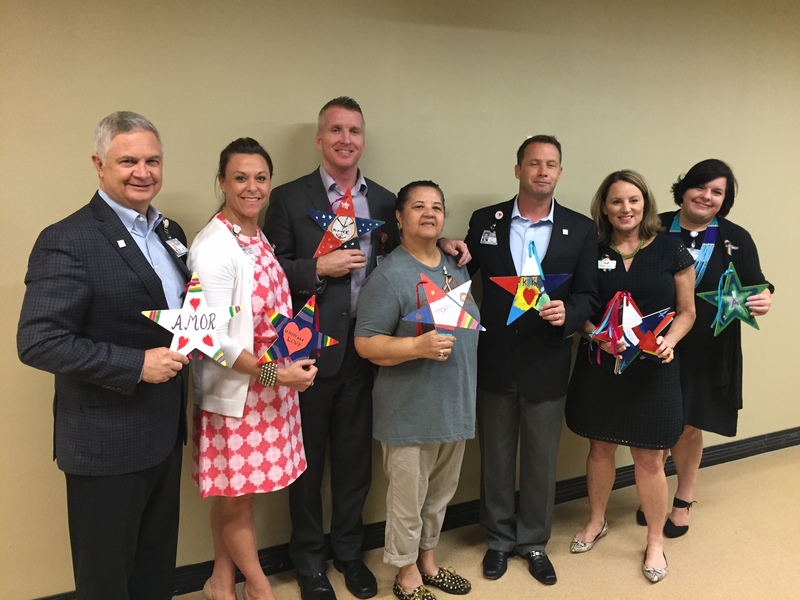 We just had the privilege of doing a Stars of HOPE® project in Orlando. 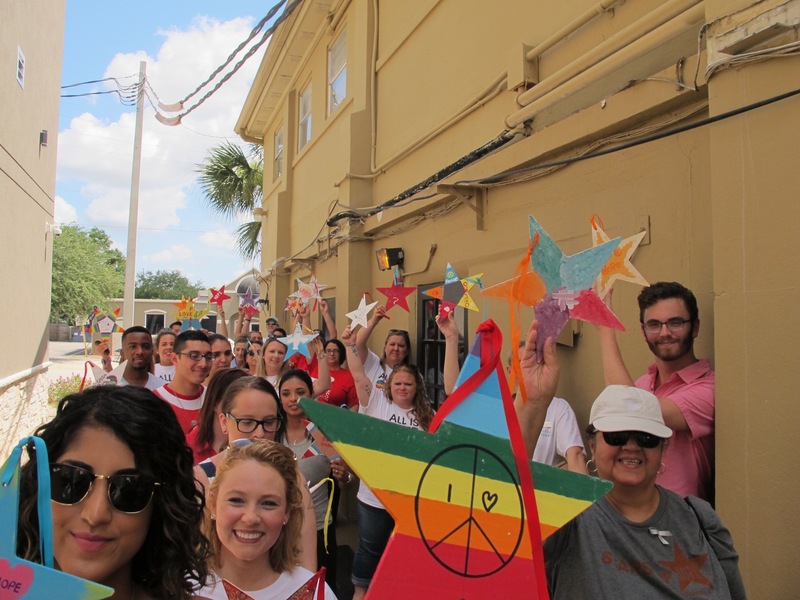 The remarkable employees of Loews Hotels created 1200 Stars of HOPE to bring smiles and hugs to a community very much in need. They took time out of their day to express their creativity and compassion for their community and add a little hope to the city of Orlando. The experience was heart warming. We were welcomed everywhere with open arms, and heard many a story of Loews Hotel employees losing friends and colleagues. 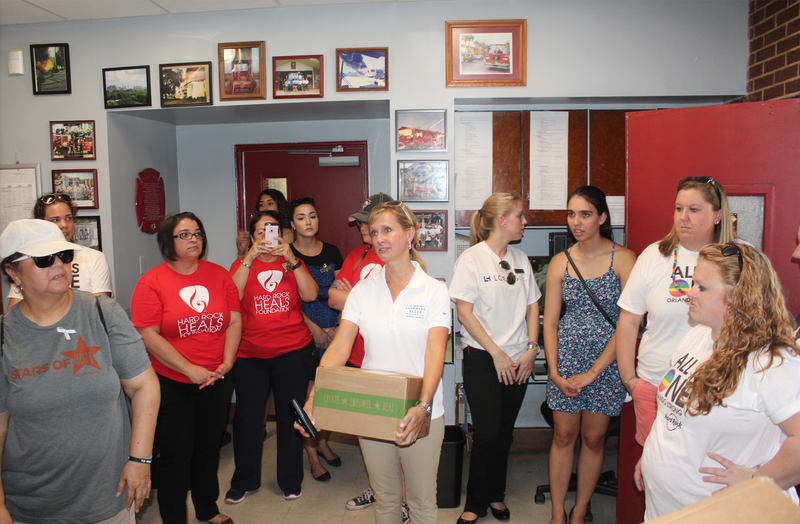 Everyone was grateful for the opportunity to help their community heal. I came to Orlando with two Stars of HOPE volunteers, Elsie Cintron-Rosado and Charle Smith. 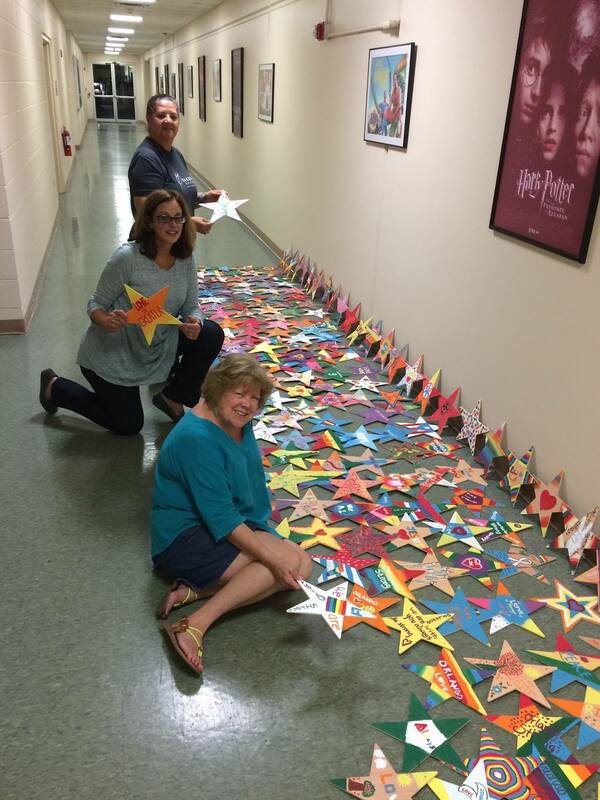 Together we organized 1200 Stars of HOPE till 2 in the morning to get them ready for sharing the next day. 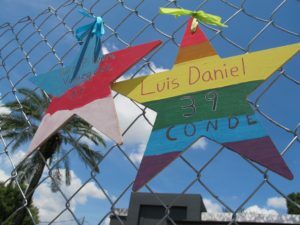 Loews Hotels kindly arranged for a bus to take us and their 50 volunteers who represented all their local Orlando hotels and together we went to at the Pulse Memorial, where a Loews employee asked if she could honor the memory of a couple who were killed. 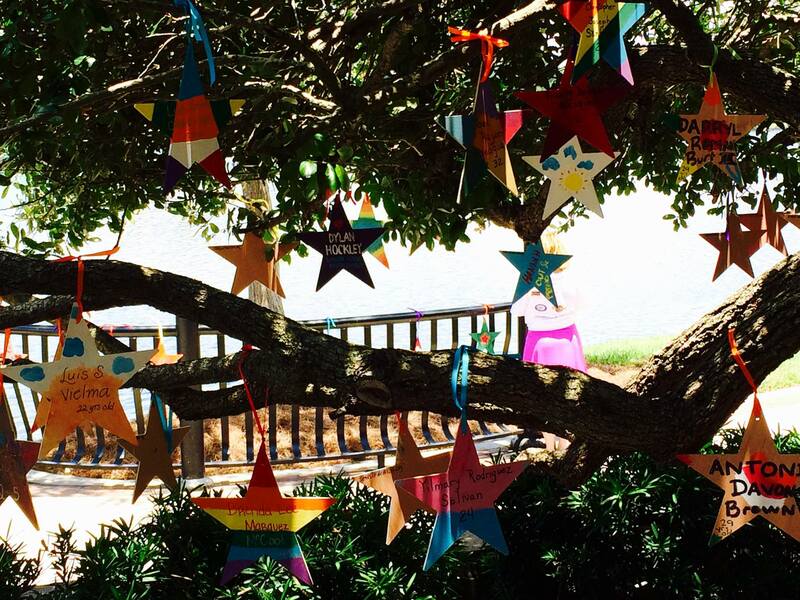 She was teary and hoped she could hang the stars that were created with their names side by side. After she hung the stars she told us the story of Juan Valazquez and his partner, Luis Daniel Conde, who lived every day with love and respect for others and how they embodied the most positive attitude and spent every day of their lives helping others. In just two days we met with people at the Christ Church, the History Center where they are cataloging the tragedy, Four LGBTQ organizations, two Firehouses and to Police Headquarters We thought long and hard who in the world needs hope and that led us to the 911 Call Center. Through a connection of Elsie’s, we were invited in to the Call Center where we were given a tour and each of the 3 shifts of operators received their own Star of HOPE. 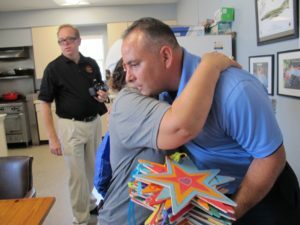 These folks are the first responders who get those very stressful calls and appreciated being remembered. 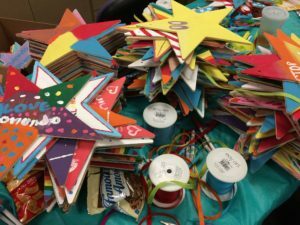 Stars were also made by children from the Mom’s in Weston Group. 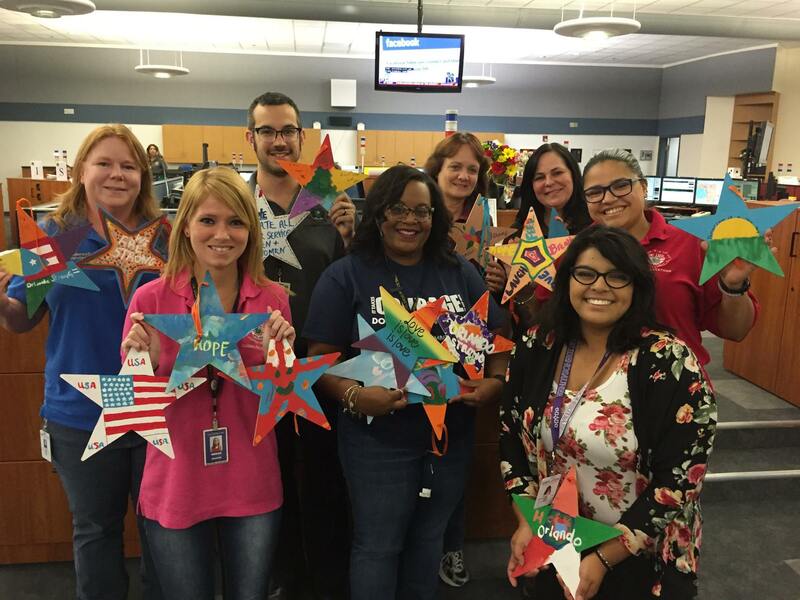 The 911 Operators loved seeing the children’s messages of HOPE! 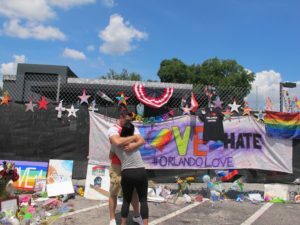 We were welcomed by the LGBT community and by the employees of Pulse nightclub, who not only lost friends, but now are without employment. They were so very touched that Loews employees were thinking of them and cared enough to bring a smile to their faces. In fact, on July 16th they are having a tribute to the fallen and are having the Stars of HOPE incorporated into the stage. A child of Loews’ employees painted stars with SpongeBob SquarePants, it brought huge smiles to the guys, and was a much-desired star. 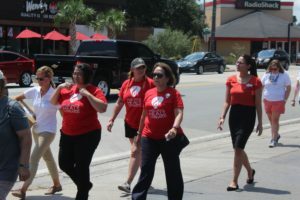 This is a community that really was sadly prepared for this. Yet they remained open, loving and not filled with hate. Stars were hand delivered to the Orlando Regional Medical Center by Elsie for the surgeons and the nurses and to the Pet Therapy folks where very special Stars of HOPE were created by the San Bernardino Humane Society, they clearly understand the need for hope for these volunteers too. How do we know that Stars of HOPE were appreciated by ORMC? Orlando Regional Medical Center IMMEDIATELY BOUGHT A BOX OF HOPE for Parkland Hospital in Dallas, TX. And the pay it forward continues. 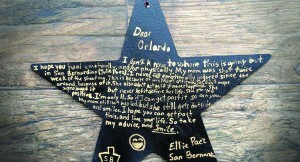 Lastly, I want to mention Ellie, an 11-year-old girl whose mom was gravely injured in San Bernardino. 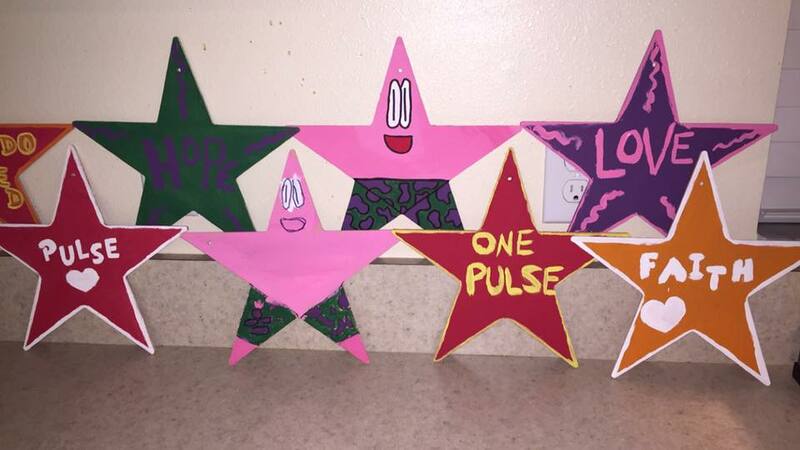 She and her mom painted Stars that were delivered to Orlando Regional Medical Center. Ellie made a video that was shared with the Hospital Board. This tells us again that every one can make a difference. 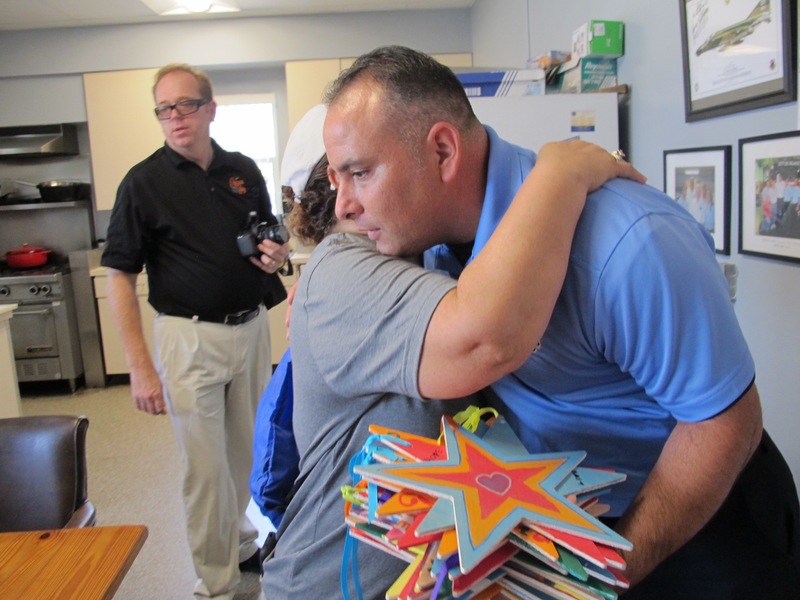 The philosophy of Stars of HOPE is that in most disasters FOOD + CLOTHING +SHELTER are provided. WE PROVIDE HOPE. We are so grateful that you have enabled our Army of HOPE. 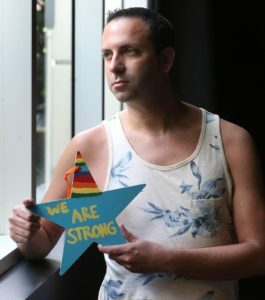 *Fran Sheff-Mauer is a marketing and branding consultant for New York Says Thank Foundation and an Ambassador of HOPE. You can learn more about Fran here.